2 GREAT LOCATIONS! ARE YOU A HOT YOGI? FT. LAUDERDALE STUDIO IS OPEN!!! HOT HOT HOT! Come experience what everyone is talking about! 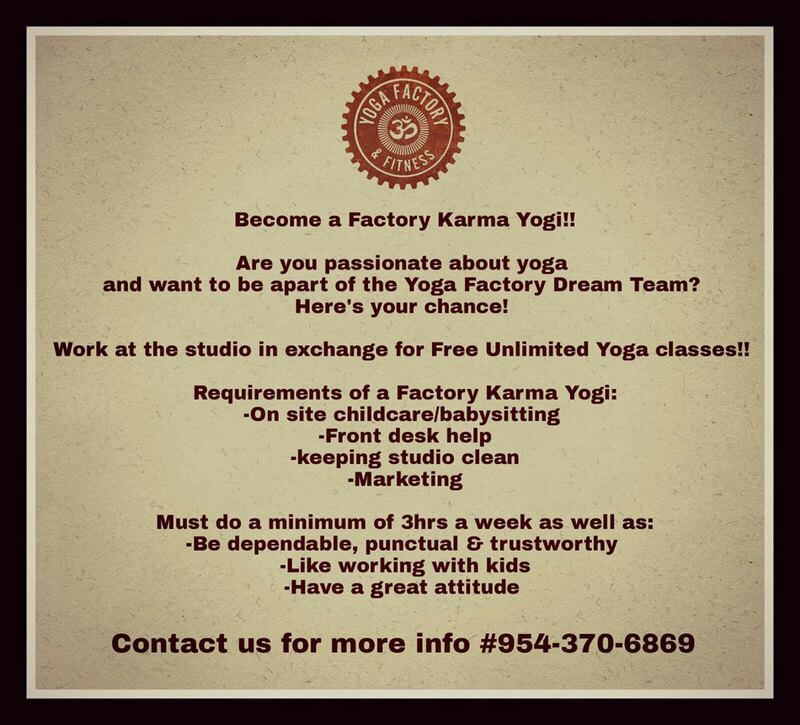 Yoga Factory Fitness is proud to be Western Broward County’s largest Yoga Studio offering Hot and Non-Heated Yoga! Come experience our Hot Studio at Yoga Factory Fitness. These classes are taught by the highest quality teachers in varied classes such as Hot Factory Flow, Raja, and Yin classes using medium wave infrared technology to heat your body the same way that it is heated by the sun! Combining yoga in a medium wave infrared studio helps release stress, tightness, toxins, burns calories and unnecessary physical and mental activity. Send a powerful healing message throughout your entire body, activate the relaxation and immune response your body needs and elevate your health and your practice to a whole new level!